The first mix in the range features a selection of urban pop classics from Rihanna, Beyonce, Jessie J, Lady GaGa, Jason Derulo, Sean Paul, Kanye West and Jennifer Lopez. This mix starts at a steady 90bpm before building up to 115bpm allowing a natural transition into your main DJ set. Each mix will feature a guide to where they will work best so you can build up a library of mixes and albums that cover every event. 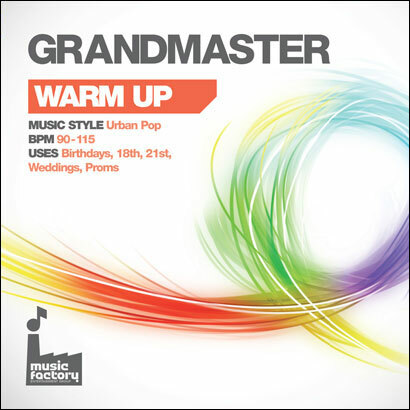 Grandmaster Warm Up: Urban Pop is available now from Mastermix, priced at £15.32.